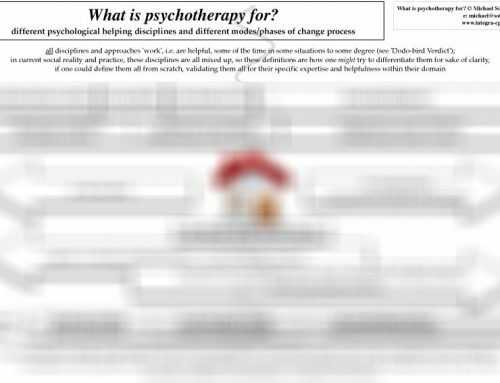 This handout is fundamental to a relational conception of therapy, recognising the parallels between past, internal and external relationship dynamics. 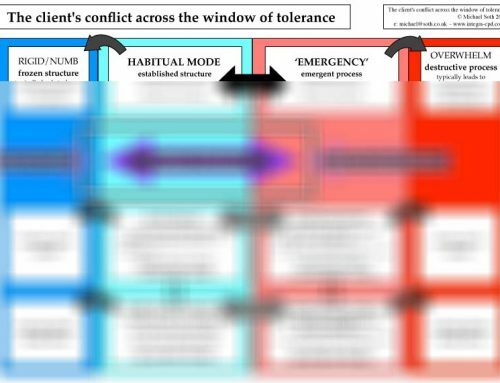 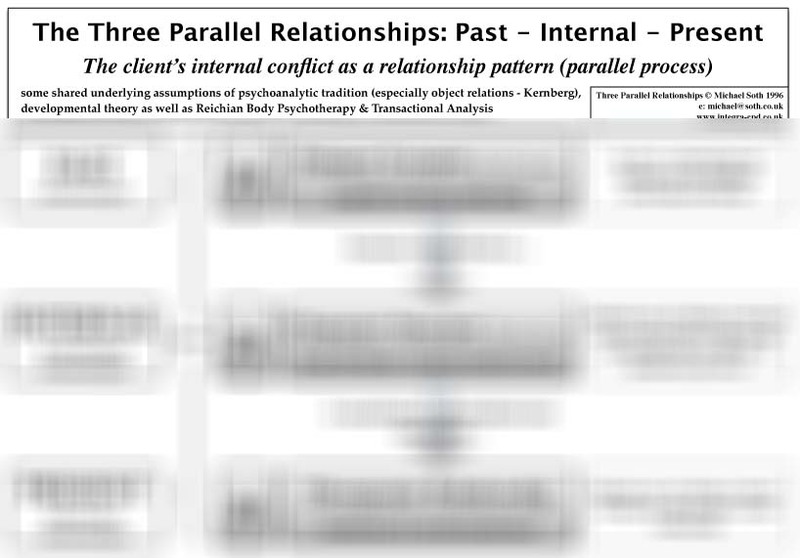 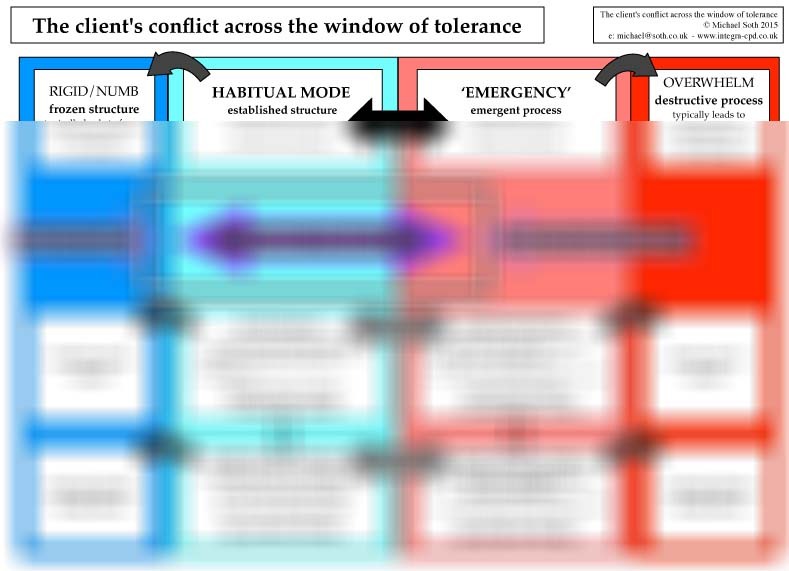 It is similar to Michael Jacob's seminal psychodynamic textbook ""The Presenting Past"", but based on an understanding of character formation, internalisation of the past wounding relationship, the continuing of the wounding as the dynamic within internal objects, and the re-externalisation of those dynamics in an external, present-day relationship, including the one with the therapist. 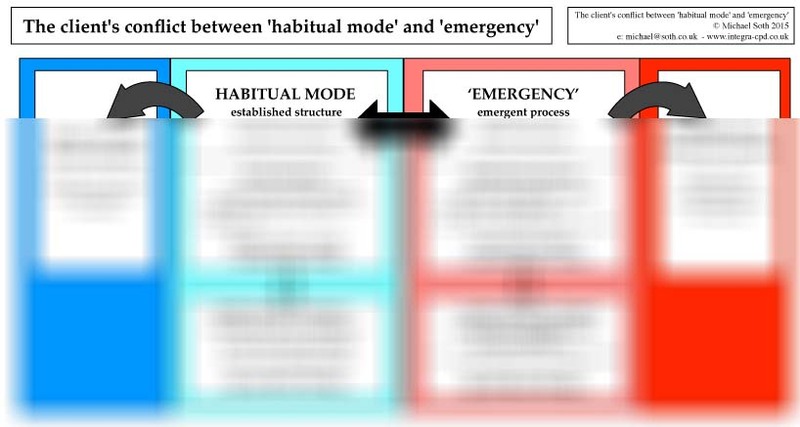 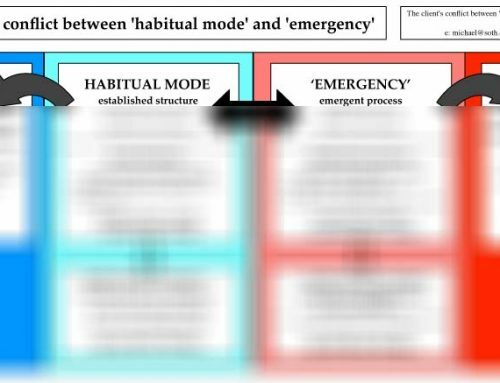 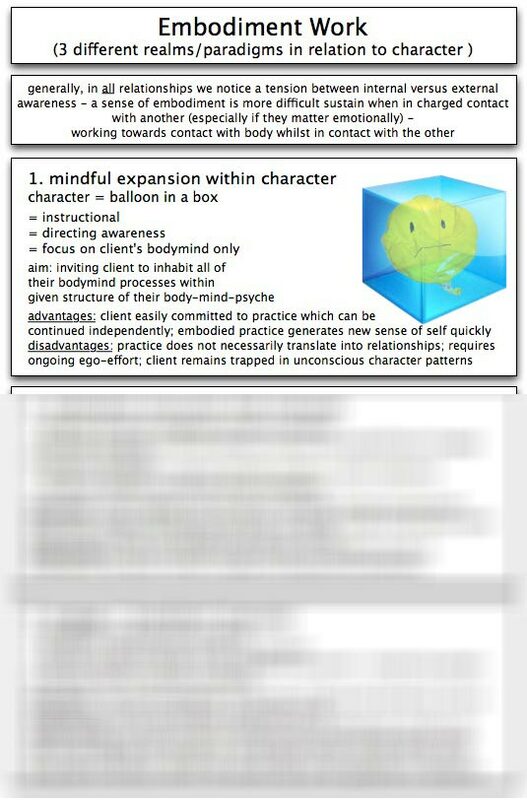 This handout can be understood across the modalities, from humanistic as well as psychodynamic perspectives, as long as a shred developmental perspective is taken for granted. 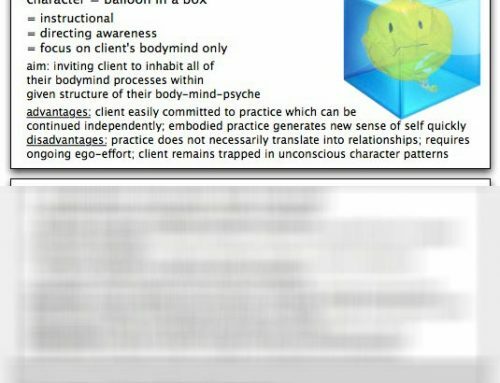 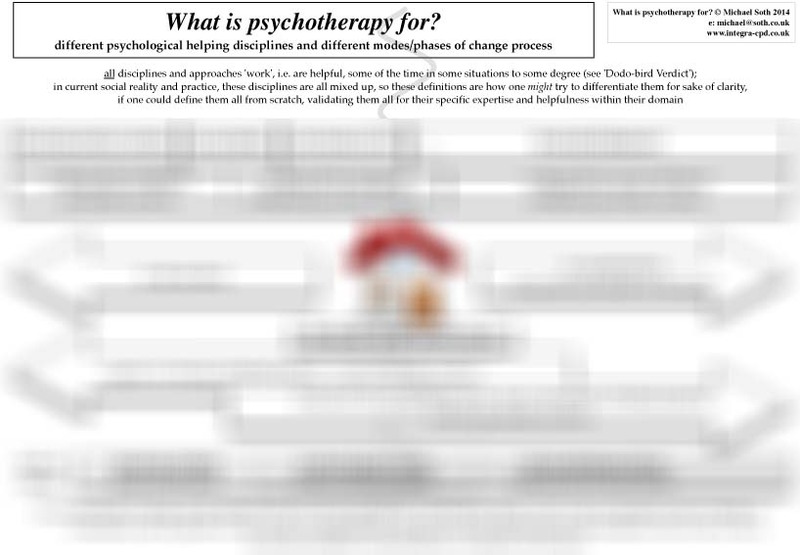 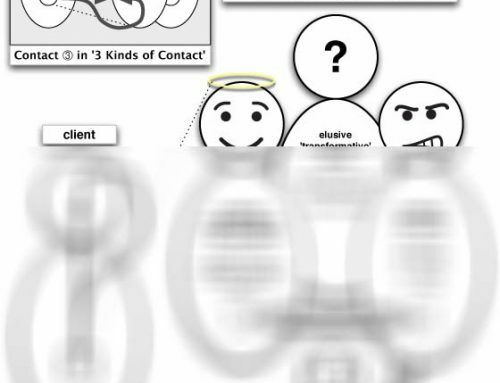 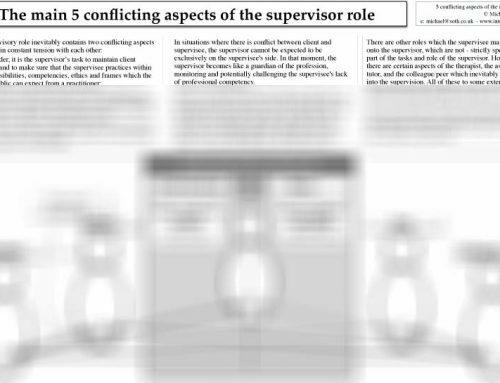 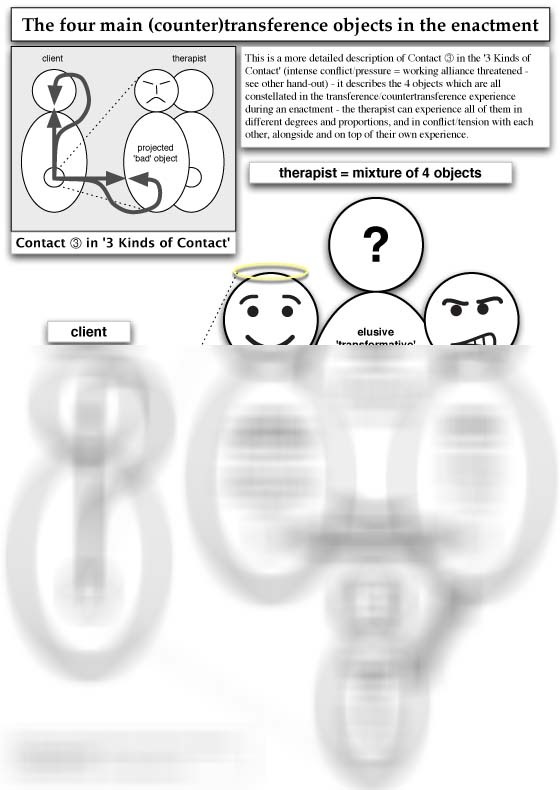 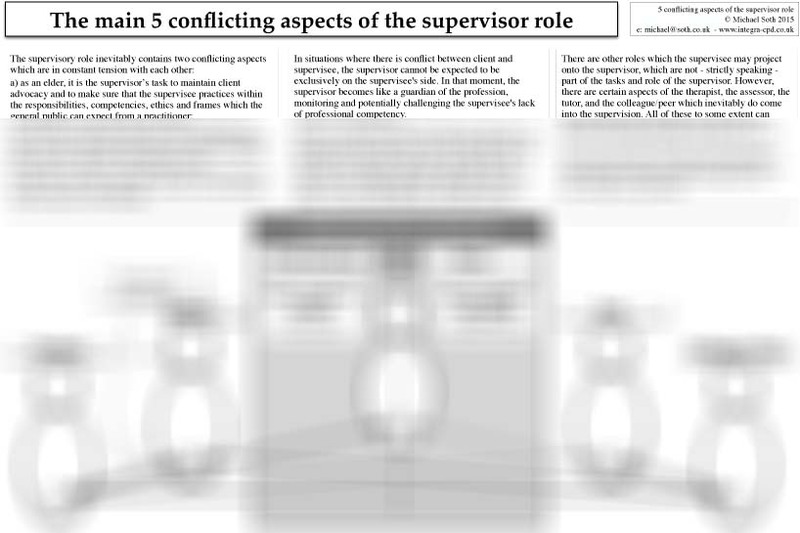 It implies that the therapist is engaged with the client's relational patterns (character, schema, scripts, Stern's RIGs etc, formed through early developmental injury), and being perceived and experienced through them.